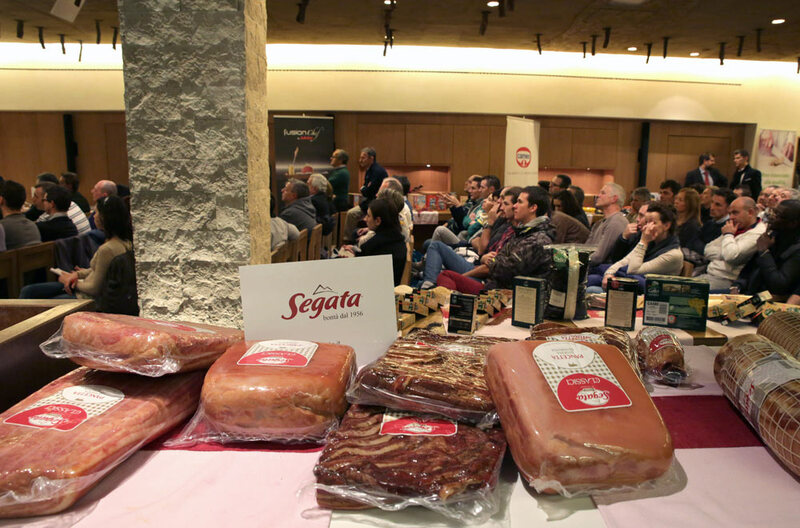 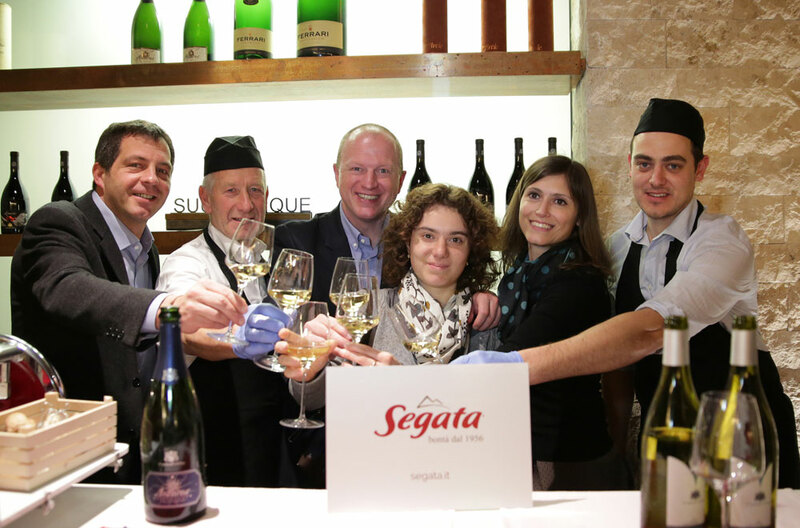 Monday, November 24, in an exclusive location as the cellars Toblino (TN), Segata together with partner Orogel has organized and participated in a gastronomic training event highly professionalizing and completely dedicated to the world Ho.Re.Ca.. 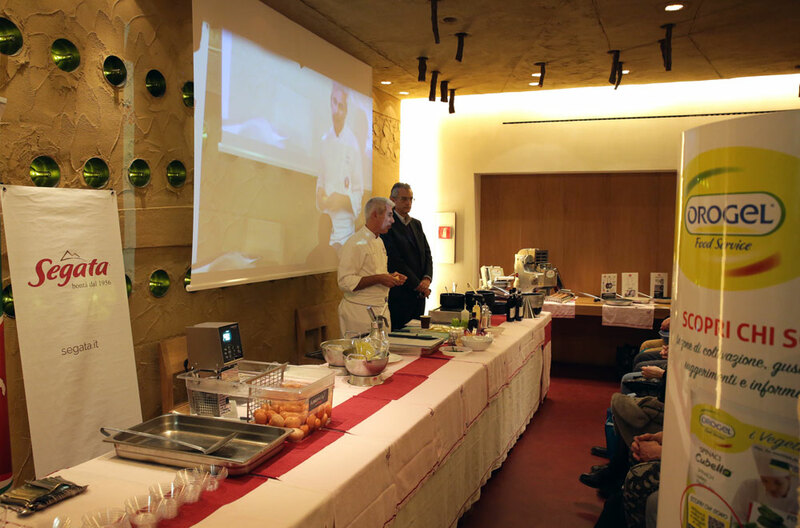 The event is the ninth stage of the Tour of professional updating "Giro d’Italia 2014 - In corsa tra le Eccellenze Culinarie", organized by APCI, Professional Association of Italian Chefs, which has as protagonists italian Chefs and Restaurateurs. 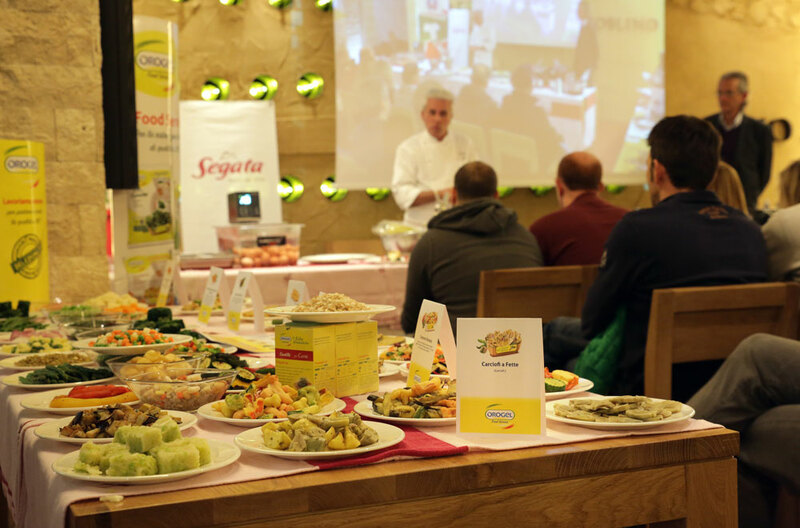 Segata products are protagonists of the initiative, which were selected by APCI with the products Orogel and other ingredients as the best on the market Horeca. 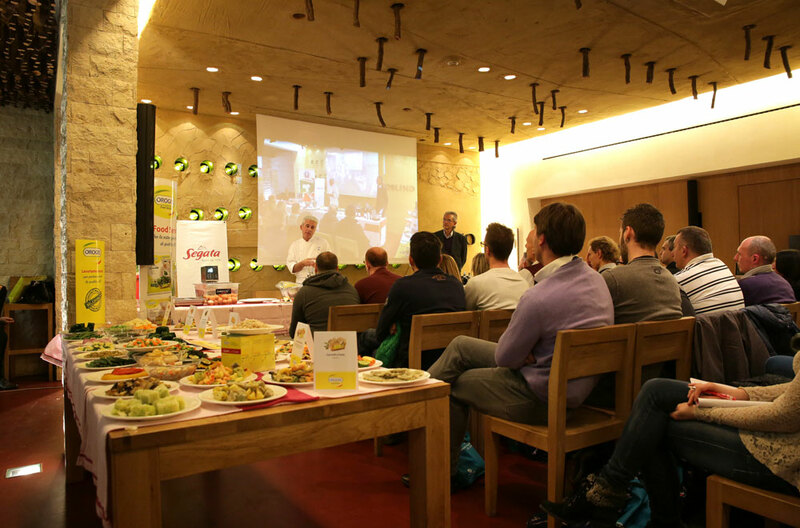 Through moments of training, cooking show and tasting was explained their best use in the kitchens of hotels and restaurants. 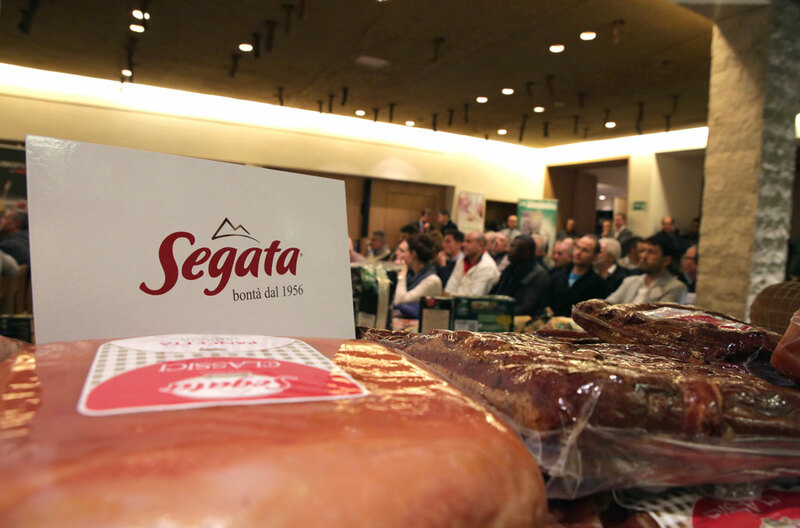 Excellence of Italian food products that is developed through the link with territory, the quality of raw materials, innovation: these are the values that the event organizers wants to convey to the operators of the sector and that Segata brides to 100% in its activities, producing and distributing Italian salami excellence with passion and professionalism. 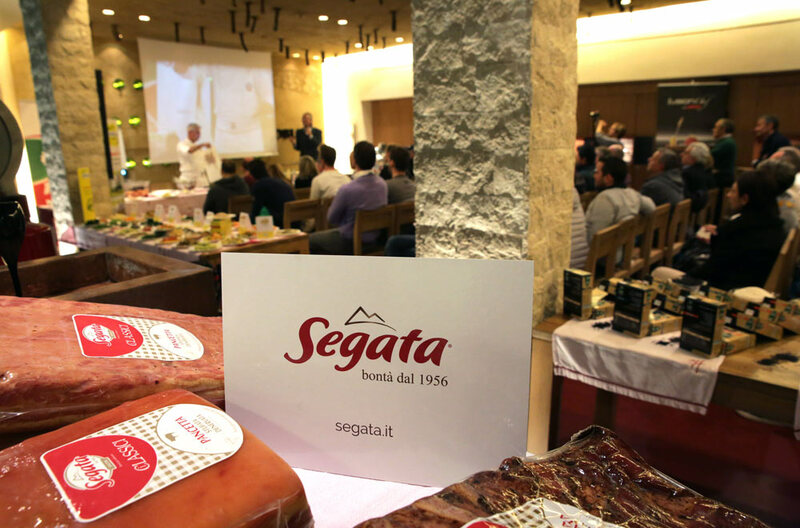 previous: Christmas with salami Segata: gift packs are ready!